Can collaborative care ease an unbearable situation? For the past 12 years, Lisa C. Lindley has devoted her career to a subject most people can’t even bring themselves to ponder. Dr. Lindley, PhD, RN, FPCN, is an associate professor in the College of Nursing at the University of Tennessee, Knoxville. As a hospice nurse by training, she deals with the harsh reality of end-of-life considerations daily. But when the patient in question is a child, such a topic takes on increased sensitivity. Now, Dr. Lindley is leading a study that will examine data from over 20,000 patients, all with the goal of answering a question we all wish never needed to be asked. 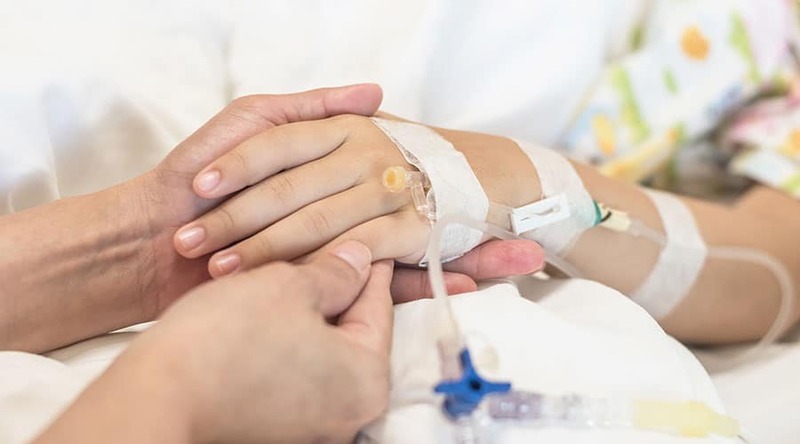 Dr. Lindley’s earlier studies have concerned topics such as what types of palliative care are available to children, and who provides that care? Thanks to the Patient Protection and Affordable Care Act, the children can receive both methods of care simultaneously, hence the term “concurrent care.” The eligibility criteria still include the ‘six months or less to live’ stipulation, but Dr. Lindley couldn’t overstate the significance of removing that initial barrier. “That’s what our study looks at,” she said. “How does the ability to provide both methods of care compare to standard hospice care for children? Are there better outcomes, are there reduced costs? Is it less burdensome? Thanks in part to a $1.5 million grant from the National Institute of Nursing Research—part of the National Institutes of Health—Dr. Lindley’s study will run until May 2022. While many studies accumulate data via interviews with children and families, Dr. Lindley’s study will rely upon claims data direct from Medicaid. “It’s a very common insurance plan for kids,” she explained. The data will pertain to children under the age of 21 from all 50 states who passed away between 2011 and 2013. The time period is interesting, because it reflects the immediate impact of concurrent care, which was legislated in 2010. Improved symptom management is another area of focus. “Now you have multiple sets of clinicians watching these children,” she explained. The issue of constipation is of particular interest, as it tends to be a common problem for children at the end of life. “We think this is something that will improve,” summarized Dr. Lindley. Of course, no one could take on such a large-scale topic alone, and Dr. Lindley’s has an extensive team of researchers, co-investigators, and a project manager. The project manager is Theresa Profant, while two students at the University of Tennessee, Knoxville will serve as research assistants. Dr. Pam Hinds, Children’s National Health System, Washington, D.C.
As part of their grant from the National Institute of Nursing Research, presentations at national and academic conferences will occur once the data is accumulated and analyzed. Over the next couple of years, Dr. Lindley expects to see continued growth of studies and investigations aimed towards helping healthcare professionals better understand end-of-life treatment in pediatrics. It’s a topic and situation no one wants to think about and certainly no one should have to withstand—but when it does happen, this information will be invaluable to parents, families, and children and the precious time they have together.